I don’t like … Wednesdays. Or do I? Dawn Ballard likes Wednesdays. Hmm, but who’s she? Dawn is an Associate Professor, Department of Communication Studies at the University of Texas. She is a scholar of chronemics, the study of time and communication. And Dawn is getting a lot of air time over her suggestion of taking Wednesday’s off work. She advocates that taking a midweek break and allowing us to take back control of our time can have positive health benefits. 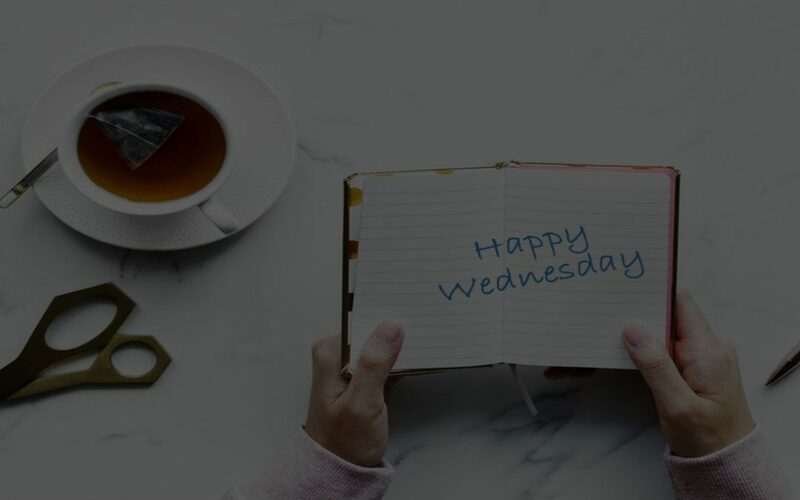 The idea of Wednesday being a key day of the week is not new though – back in 2008 Professor Charles Areni (University of Sydney) conducted a study which concluded that Wednesday was the lowest point of the week as people were furthest away from the weekend that has either just gone or is coming up. And, allegedly, in America, Wednesday is often referred to as ‘hump day’: hump in this context being an ‘obstacle’…least anyone gets the wrong idea here! Of course many companies now allow staff to work from home, for odd days, or for most of their working week; indeed the adoption of hot desking in many business has helped ‘pushed’ staff into working from home (WFH). And, WFH received a generous boost with the introduction in June 2014 of the Flexible Working Regulations where anyone aged 18 or over who has been in their job for at least six months can request flexible working, and their employer has got to consider their proposal. There’s plenty of evidence that WFH is beneficial – research by Stanford University found that remote workers are 13% more productive, take fewer sick days and enjoy a quieter working environment than their commuting colleagues. Even MI5 promote working from home! ‘Nuf said! So, yes to working from home then, but, maybe we should be putting more planning into when to work from home and include Wednesdays. Doximity, an online social networking service for U.S. clinicians, have adopted a ‘Work from home Wednesday’ policy, also referred to as a GLF day – Get Life Done day, where employees are encouraged to get household tasks done, or appointments scheduled in between working. This apparently increases productivity on the other four working days of the week. Facebook also promotes Wednesday as the best day for people to work from home and actively discourage people from scheduling meetings on Wednesdays. Great, so there you have it – work from home and always on a Wednesday, right? Well maybe, but consider this: further research from America of 1,500 company bosses back in 2015 revealed that they were more receptive to pay requests on a Wednesday. Ah, ok, so on balance then, if we want a release from deadline pressures, give our health a bit of a boost or re-energise ourselves for the rest of the working week then we should ‘consider’ taking a duvet day, a day off, or working from home on a Wednesday. However, if you want that pay rise, then WFH on the Tuesday!